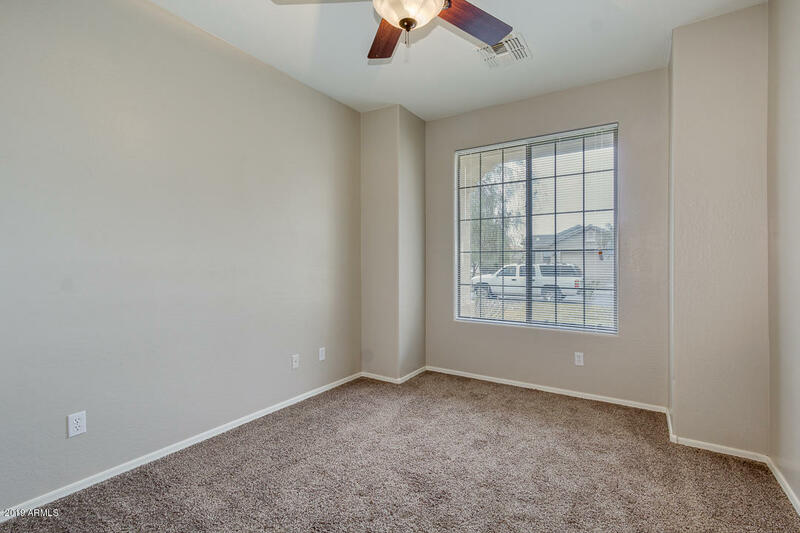 Great floorplan feels lives larger than expected. 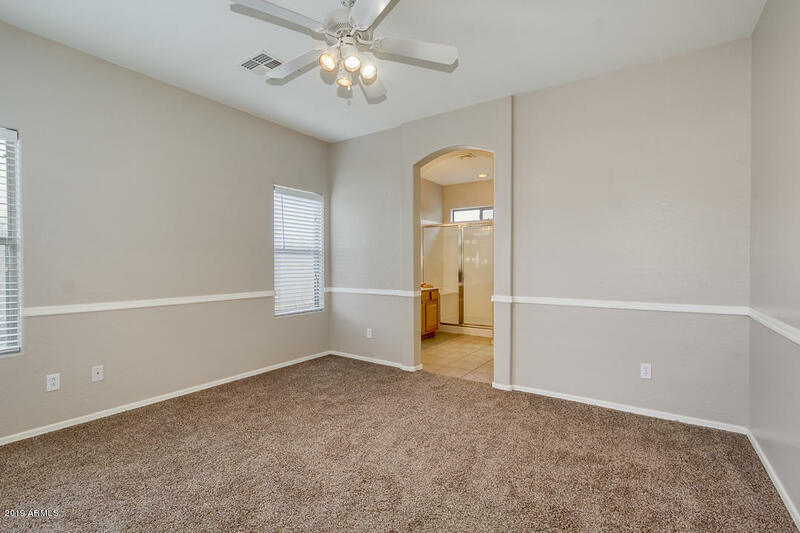 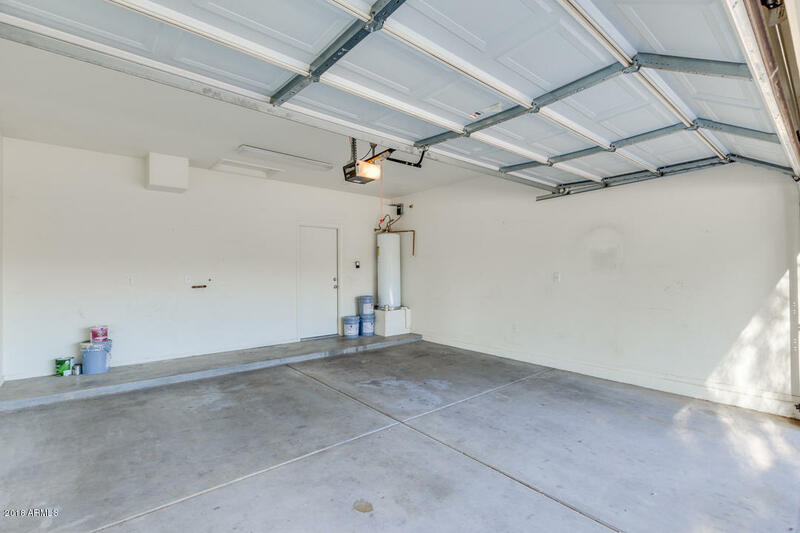 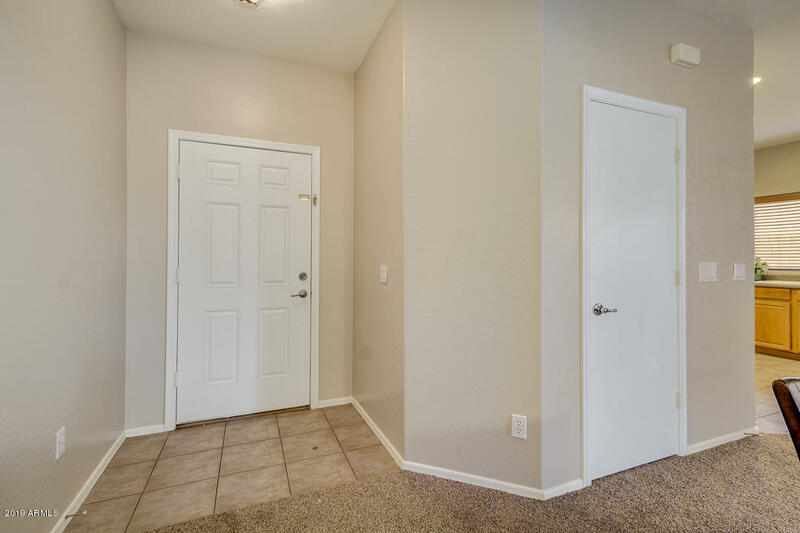 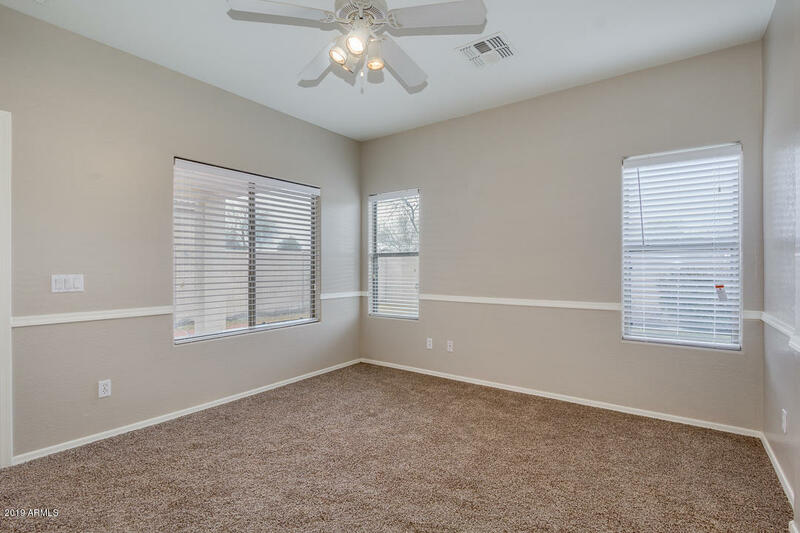 New carpet and fresh interior/exterior paint, this home is move-in ready. 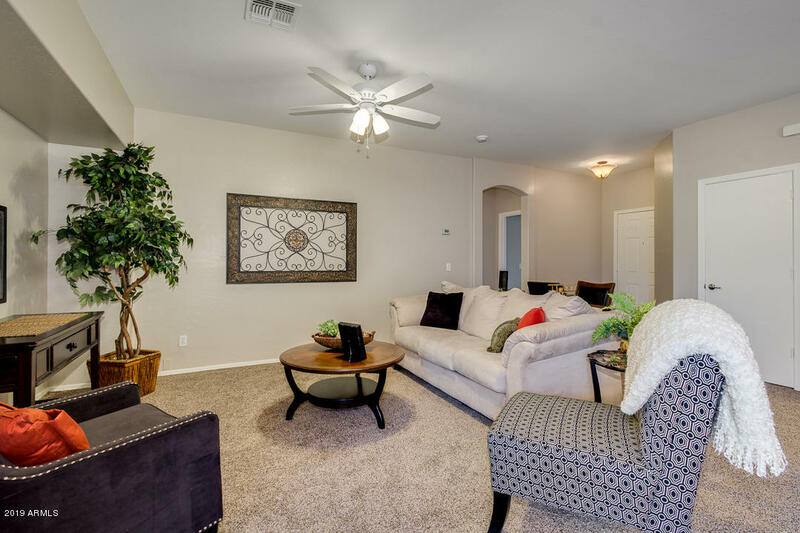 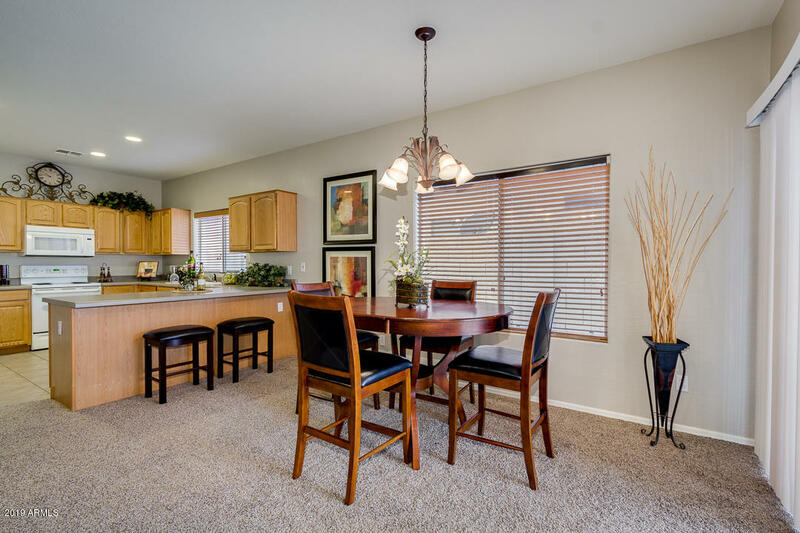 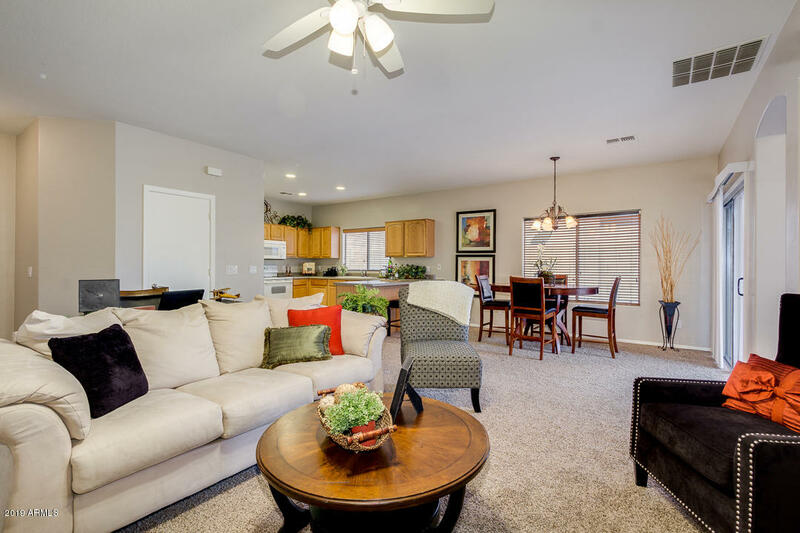 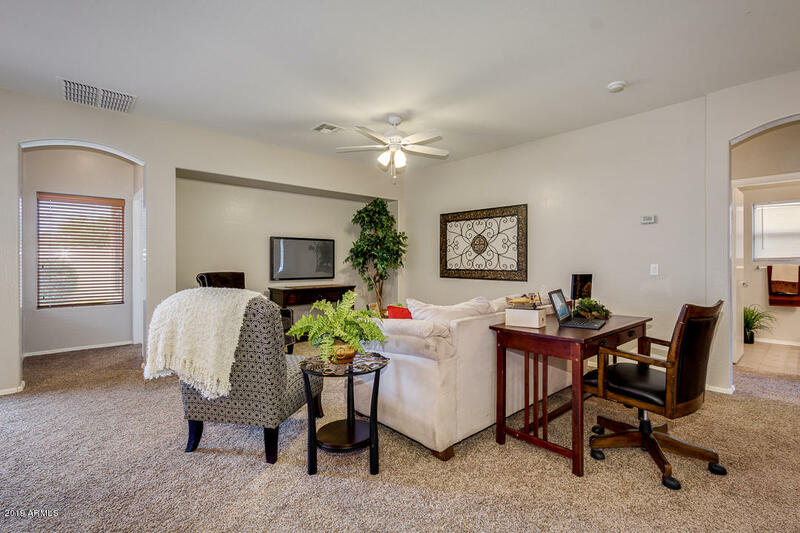 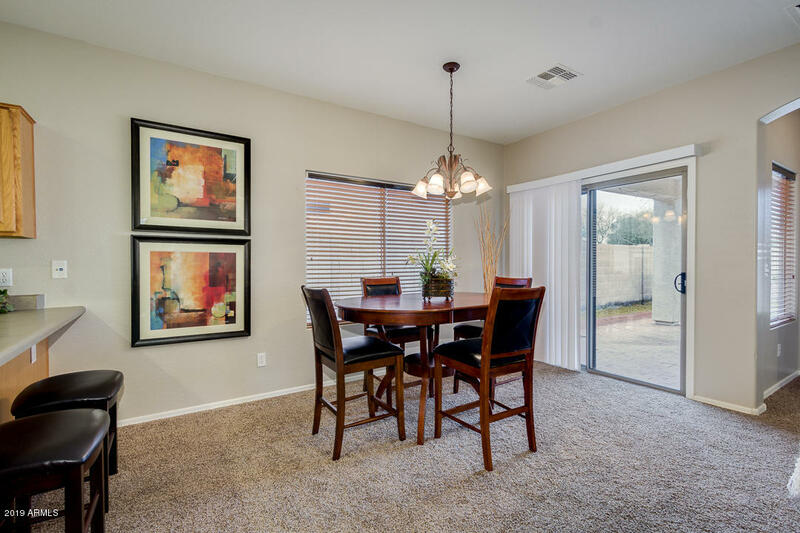 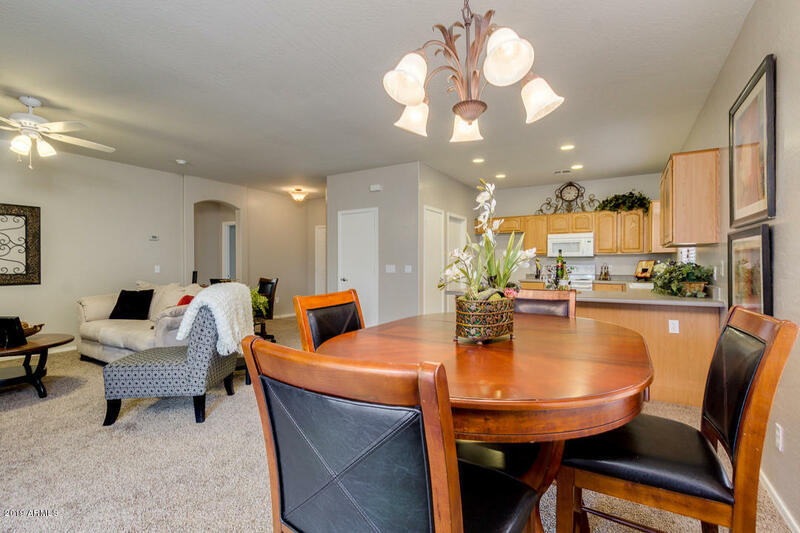 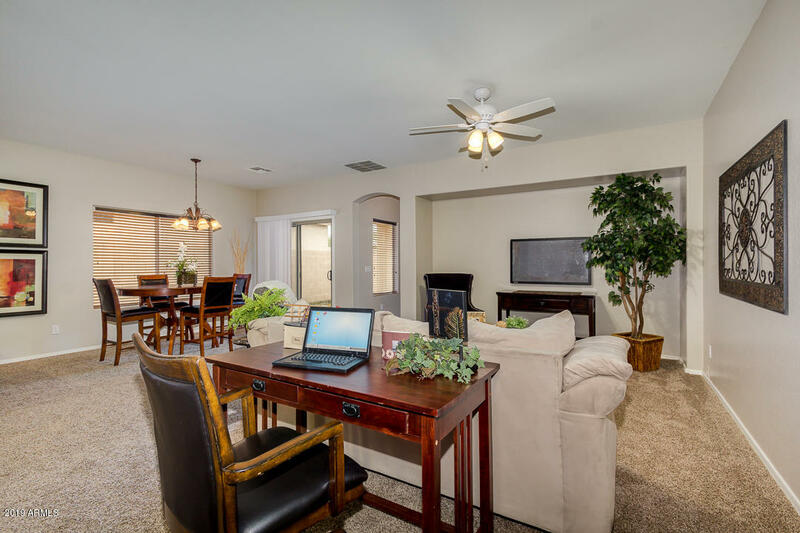 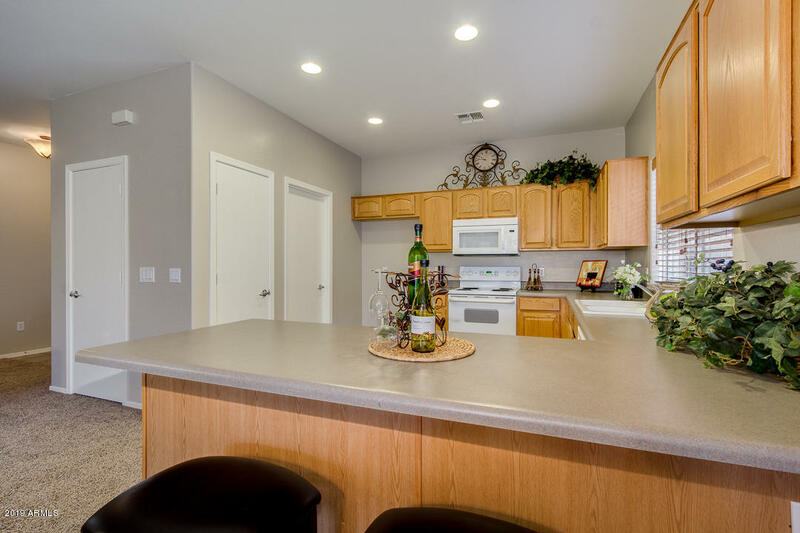 Open concept living/dining combo and large nook space for TV/Entertainment center. 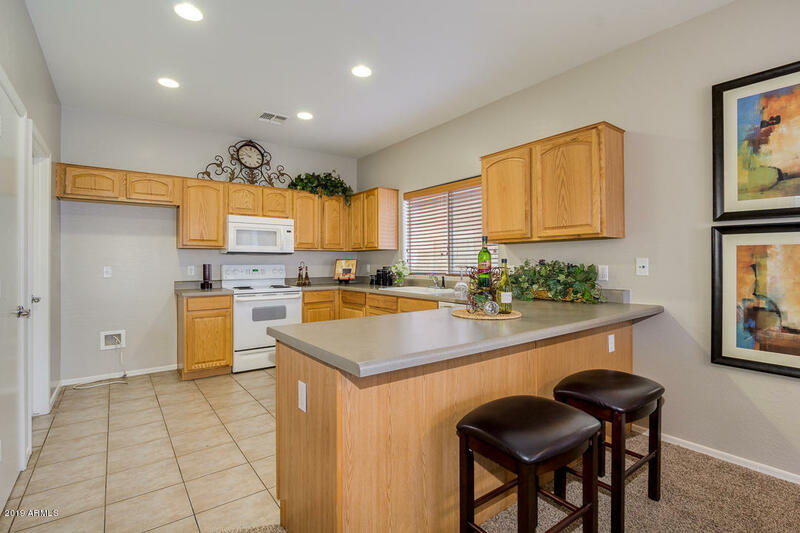 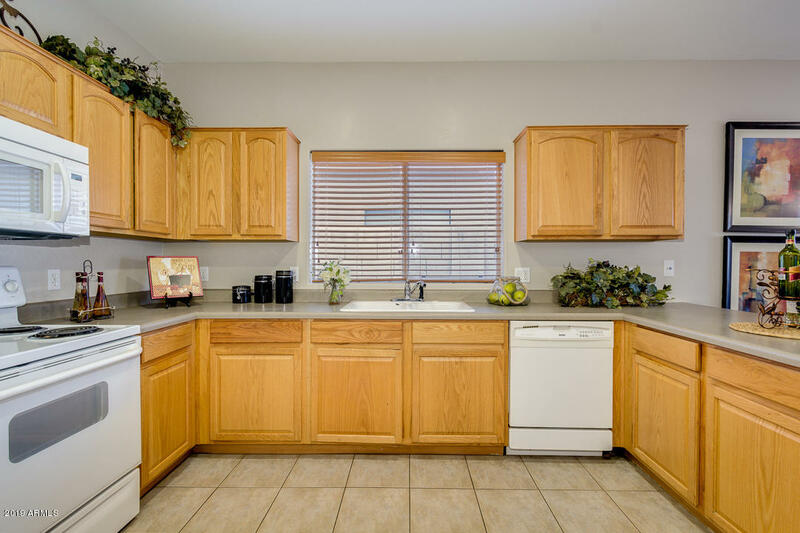 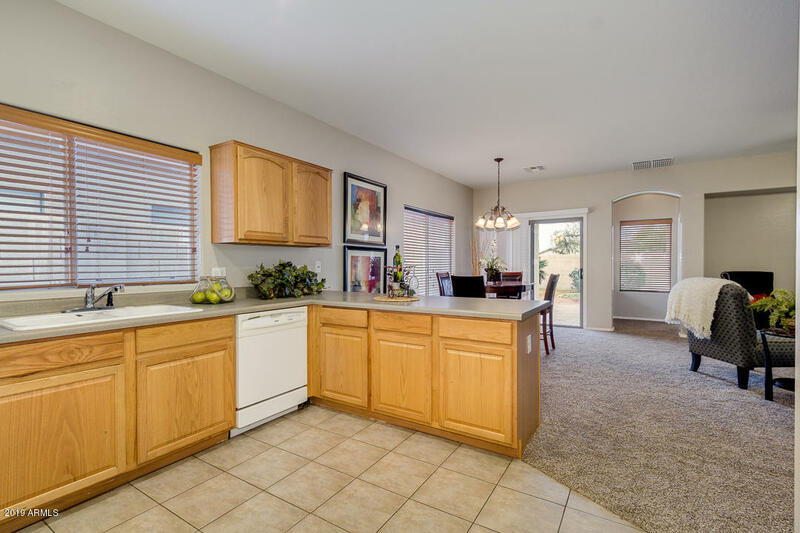 Spacious kitchen includes breakfast bar and pantry. 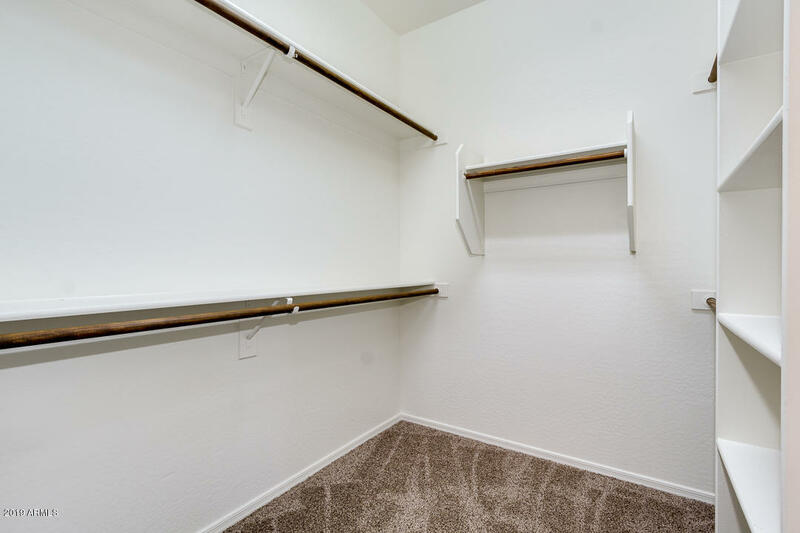 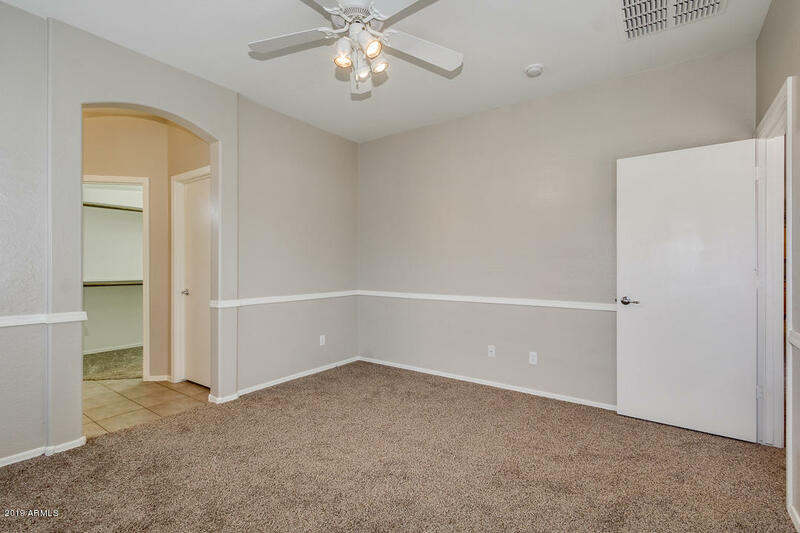 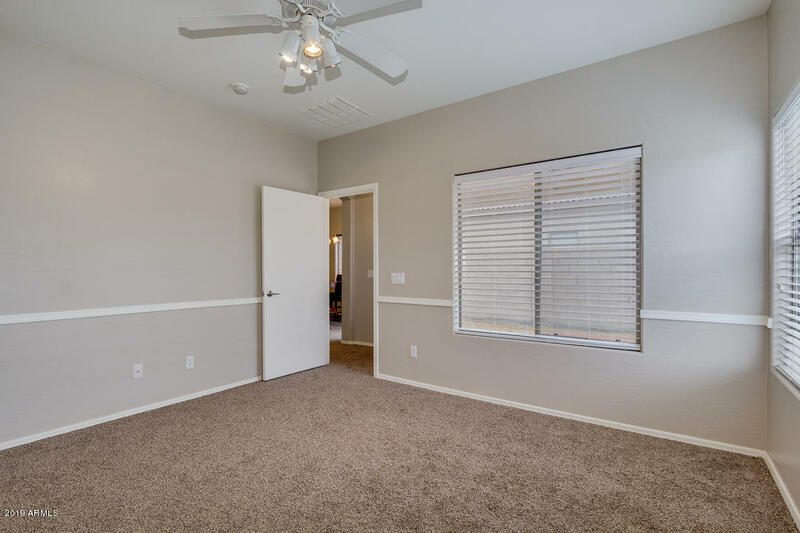 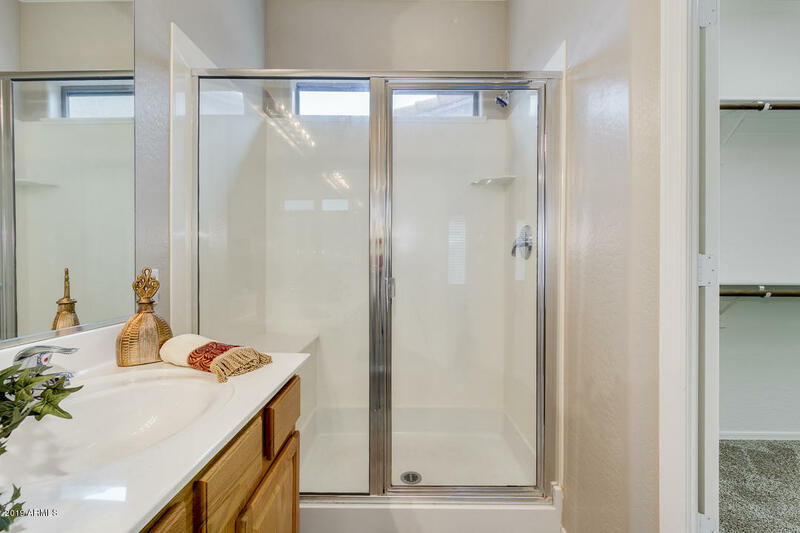 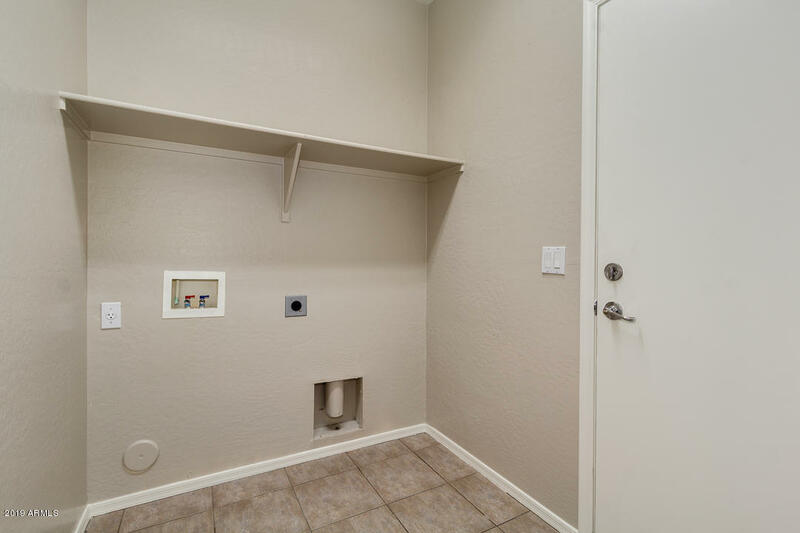 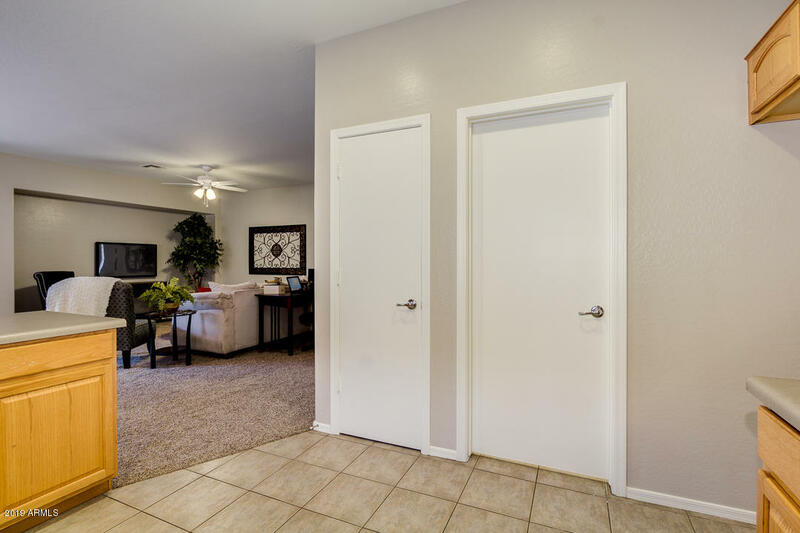 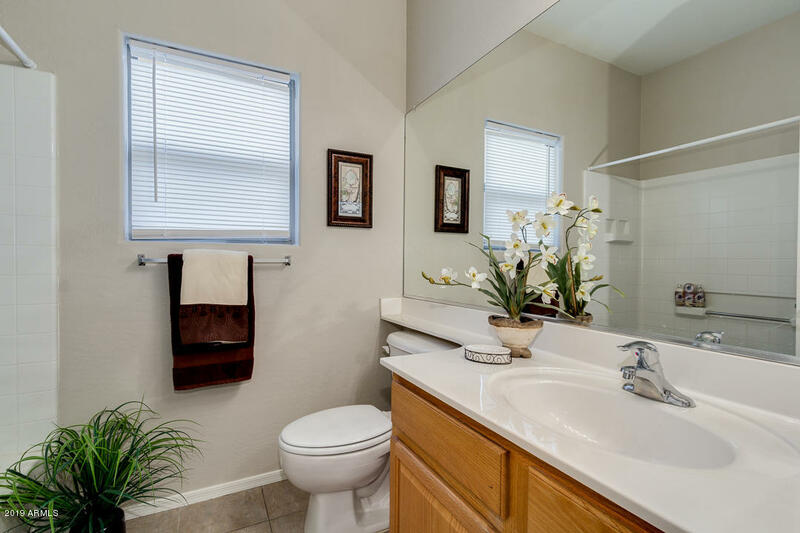 Master is split with chair rail molding in the bedroom, walk-in closet, walk-in shower and double sinks in the bathroom. 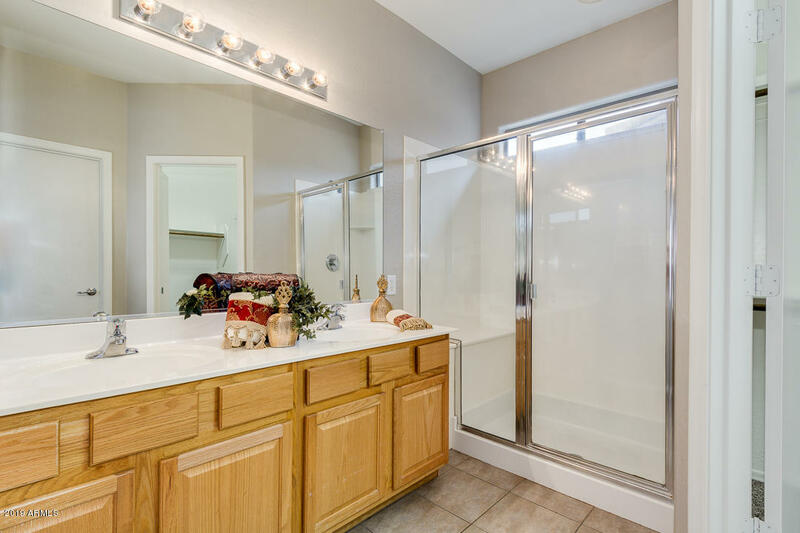 Two separate bedrooms share a full bathroom. 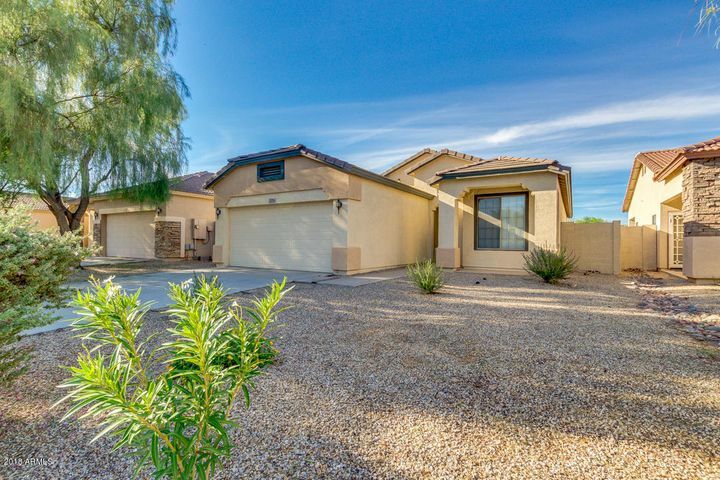 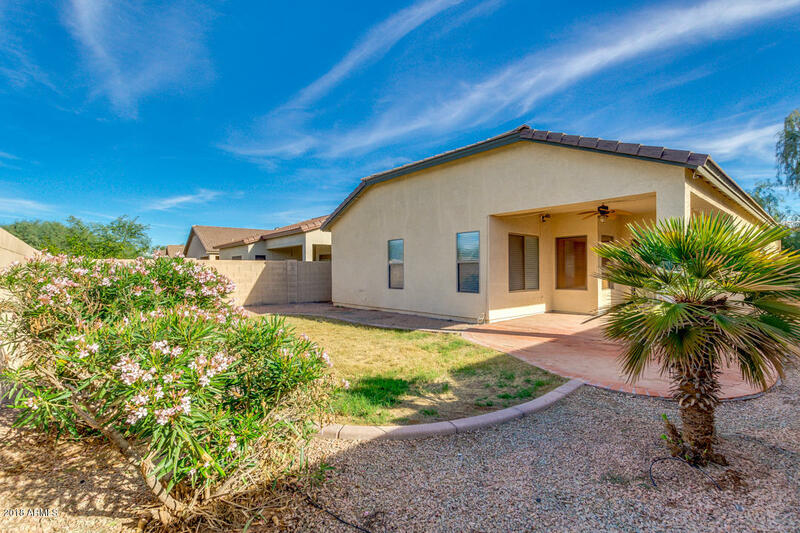 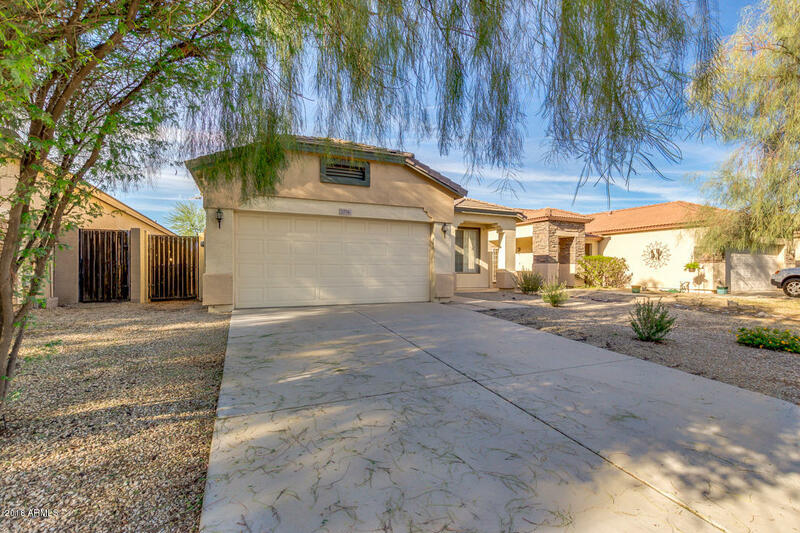 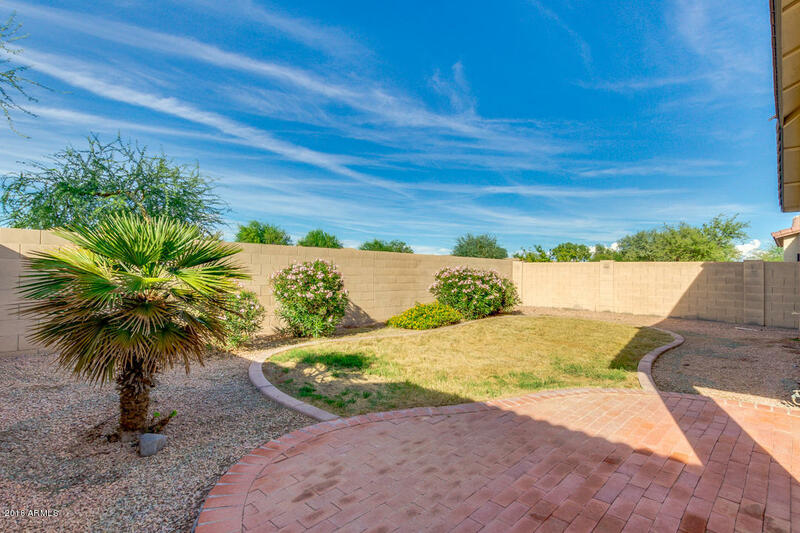 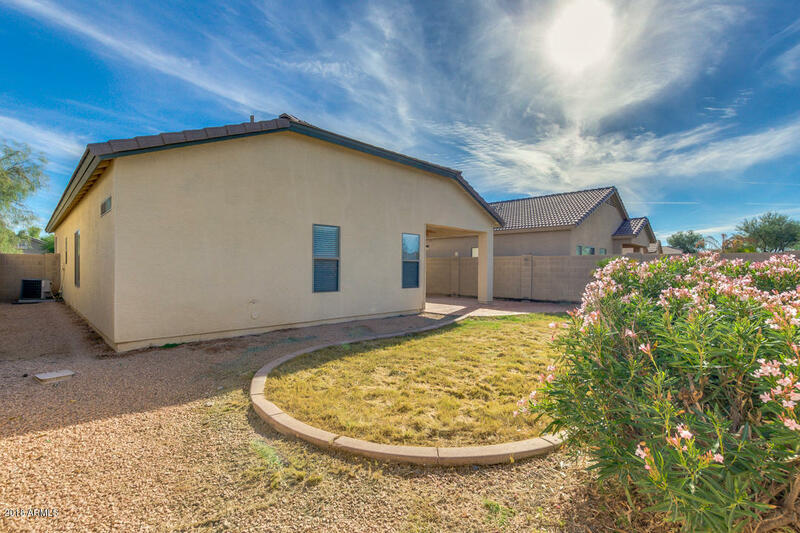 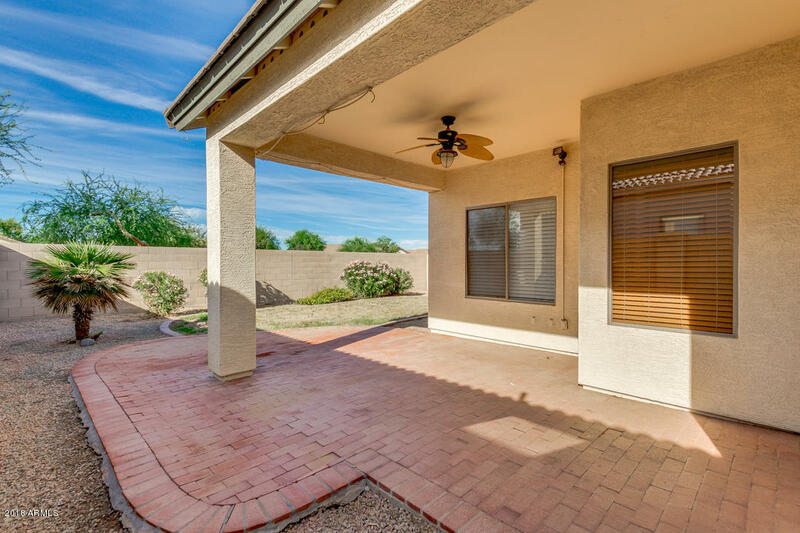 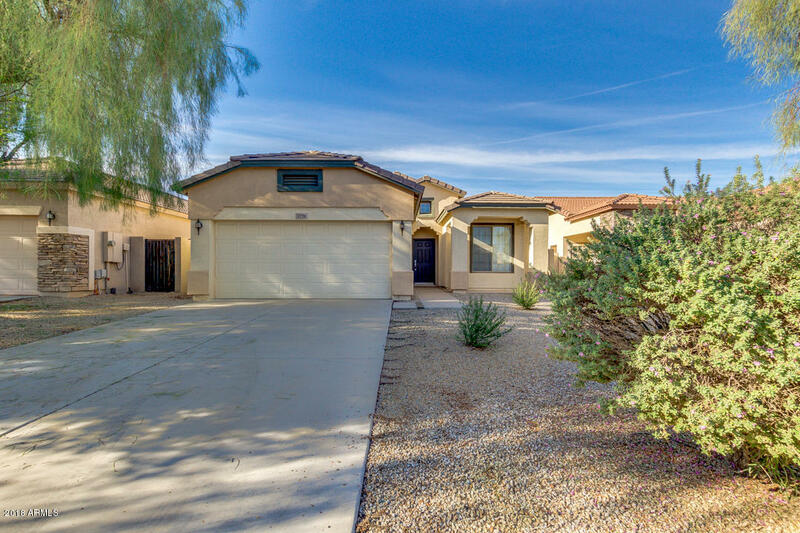 Backyard offers a paved, covered patio with outdoor fan, grass and desert landscaping. 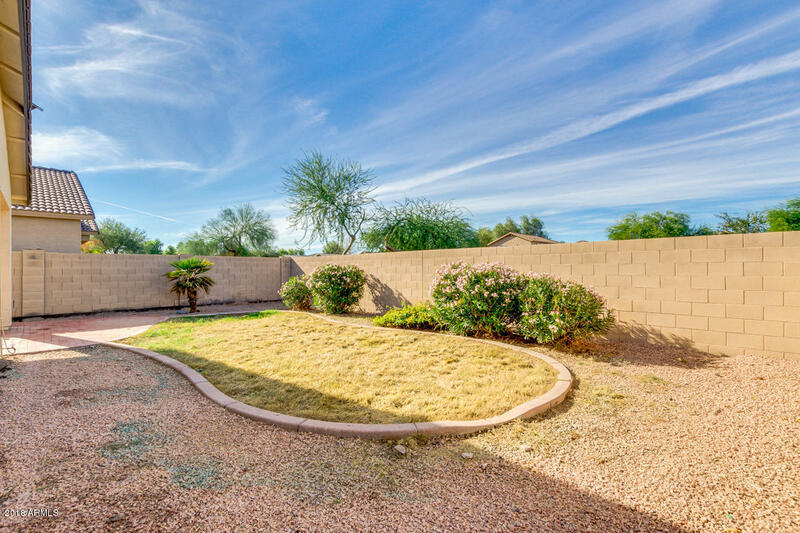 Easy maintenance front yard with new timer and drip system for desert plants. 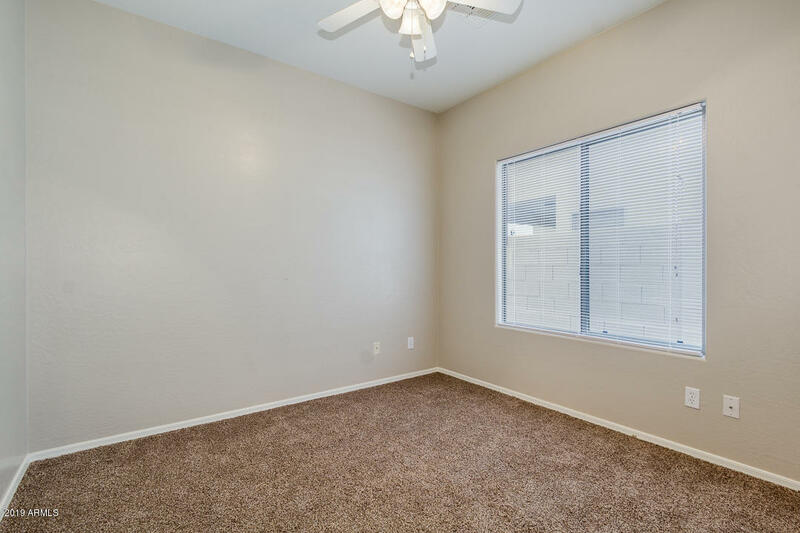 HOA Prop Man Co Name: Premier Comm. 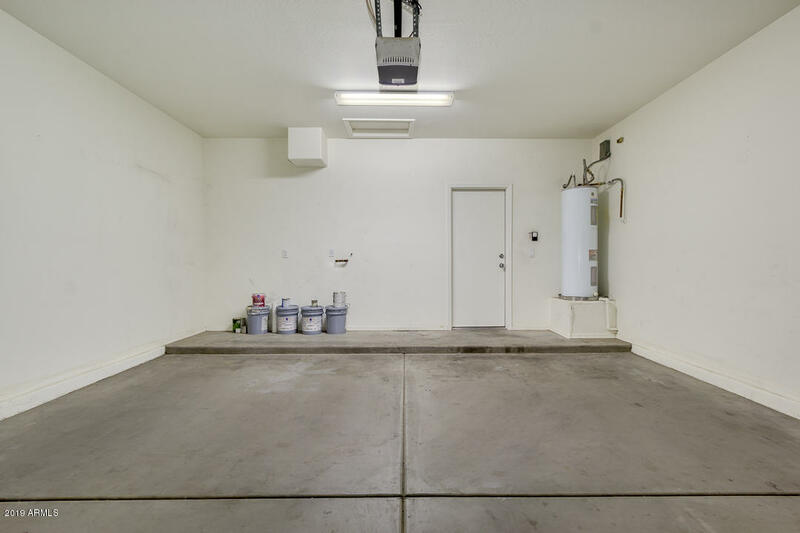 Mgmnt.